Designed to make your every touch, tap and swipe on the phone more purposeful, Galaxy S9 and S9+’s intuitive UX seamlessly translates simple gestures into meaningful actions. Whether it’s realizing ideas floating around in your head or simply making your ride home from work more enjoyable, the smartphones are packed with features to help you experience and discover more. The lock screen is the part of the smartphone we interact with the most. It’s often one of the first things we see when we wake up and check throughout the day. 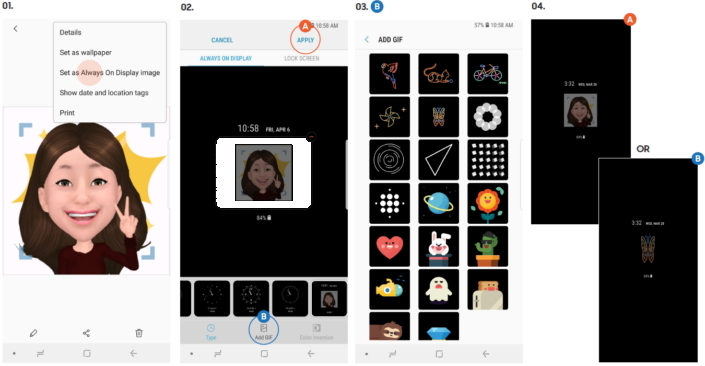 Galaxy S9 and S9+’s lock screen features give you the best platform to tell your own story every day. With the video wallpaper function, you can customize the lock screen to play your favorite images to keep you inspired all day long. The feature even lets you transform your treasured Super Slow-mo videos into lock screen wallpapers. 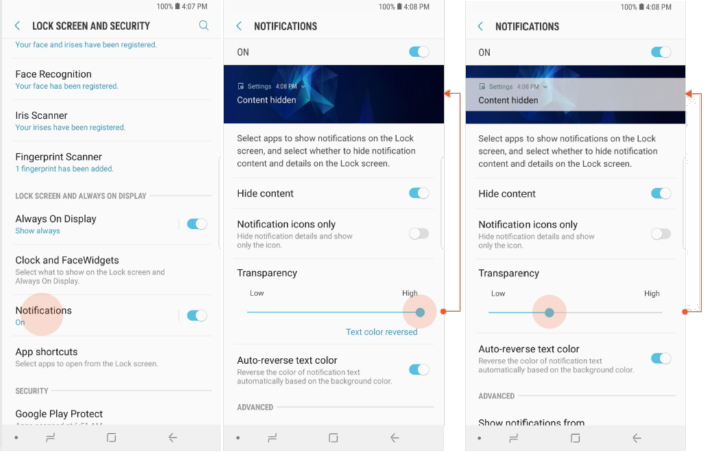 You can also try making the notification bars on the lock screen transparent to see all the things that matter to you more clearly. Whenever you need to read the time precisely, simply tap the clock on the lock screen and it will tell you the seconds as well as minutes and hours. Want to keep something that makes you smile close by? Pin one of 20 pre-loaded animated GIFs on your Always on Display so you can be greeted with a dash of delight whenever you check your phone. There’s nothing more frustrating than trying to find an app quickly only to forget which folder it’s in. 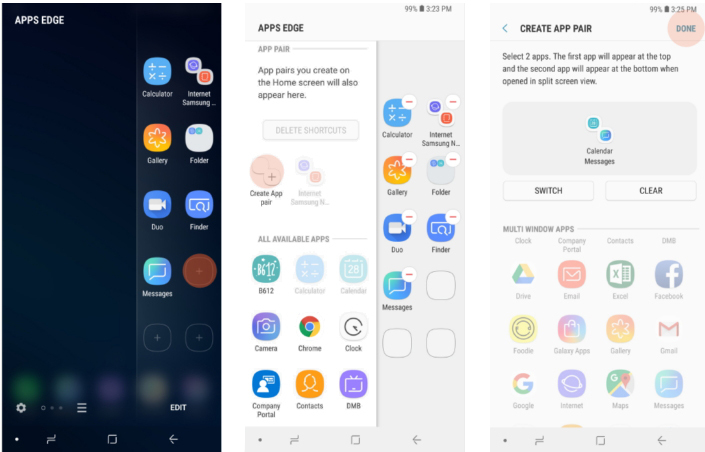 The Edge function on the Galaxy S9 and S9+ solves this problem by giving you the option to store your favorite apps and contacts on the side of the Super AMOLED screen. Samsung has improved the function to facilitate quicker access. Simply drag and drop an icon from Apps Edge to a designated box for a pop-up view. 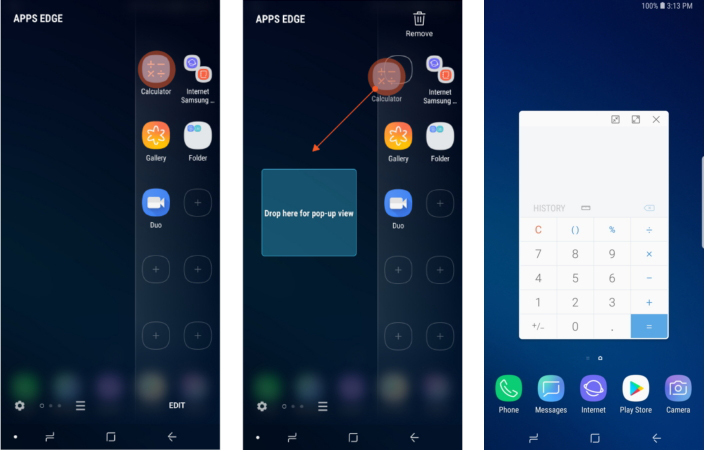 The Edge function on Galaxy S9 and S9+ also allows you to quickly reply to messages in a pop-up window. You can now switch between Apps Edge, People Edge and Smart Select with a simple swipe. 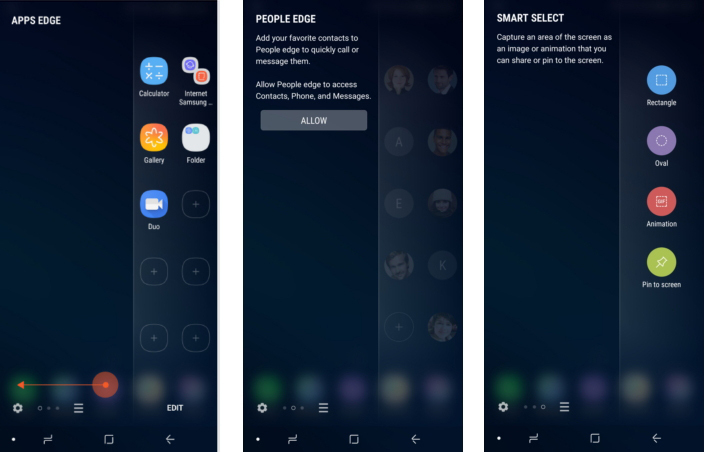 People Edge allows you to easily call or message your frequent contacts, while Smart Select lets you capture an area of your screen as an image or animation. We’ve all been there. Switching back and forth between different documents and apps to gather all the information while writing an email on the go. The time spent navigating multiple apps could make writing a simple message feel like running a marathon. With App Pair on Galaxy S9 and S9+, you’ll never find yourself in such a situation again. With just one touch, the function launches two apps simultaneously in Multi-Window mode. You can even place the customized App Pair icon on the home screen to ensure easy access all the time. Most multimedia contents are best experienced in landscape on the smartphone. Using the entirety of the screen, the experience becomes more immersive. 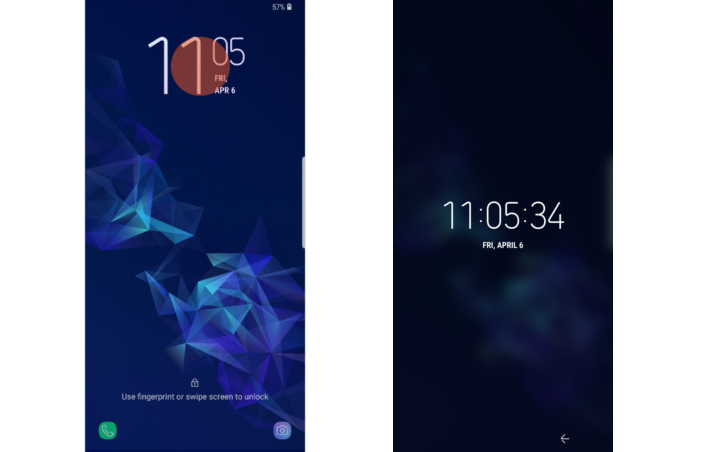 But switching from a video stream to other tasks can be cumbersome at times, as the home screen is usually fixed in portrait – until now. 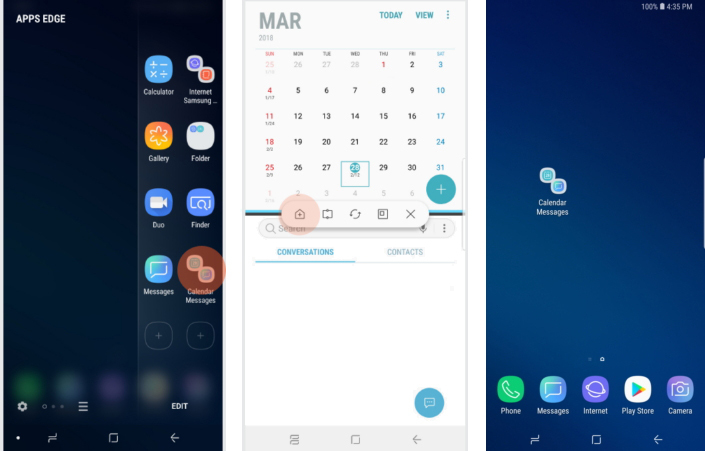 The home screen of Galaxy S9 and S9+ can rotate to landscape automatically, which means you don’t have to physically change the phone’s position whenever you transition between multimedia contents and other tasks. Our phones often hold highly personal information. While it’s important to have such data locked away securely, efficient authentication is equally crucial. Galaxy S9 and S9+ strike the perfect balance between security and usability with Dedicated Fingerprint. The function lets you register two fingerprints to unlock the phone. 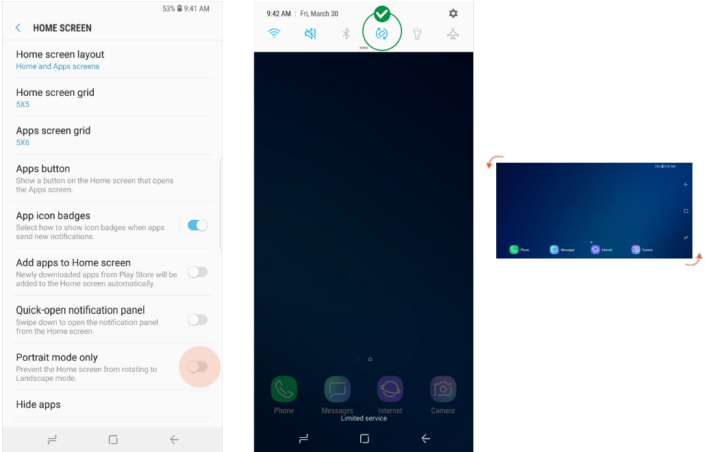 Your normal fingerprint takes you to the home screen while your dedicated fingerprint gives you access to the Secure Folder directly from the lock screen.